In order for a learning organization to be relevant it must be a composite of small agile teams that consist of business, subject matter, learning and technology experts that are deeply rooted in the industry they serve. While roles are aligned to human capital strengths, the members of the team must be able to understand, analyze and act in each others absence 24/7/365 regardless of location, platform or customer need. 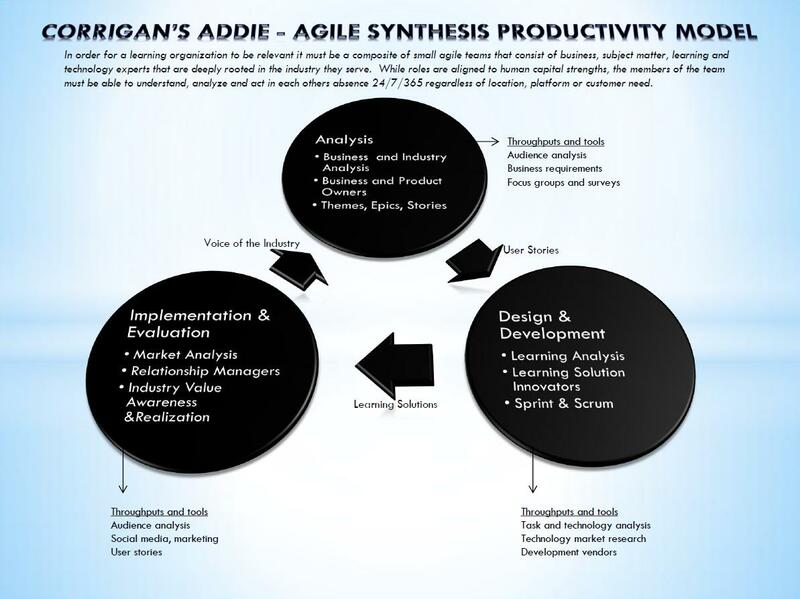 If you have any questions about the model or if you would like to have me discuss how to deploy an agile ADDIE team please send me an email at bill@billcorrigan.com today!